There is no comparison to Southwestern College’s Counseling Center (now re-built and renamed Tierra Nueva Counseling Center), and I’m here to explain why. Southwestern College has a holistic, consciousness based education with an experiential style of teaching and learning. What this translates to as a student studying at Southwestern College is this: I have been able to follow my own path to becoming a counselor; I’ve learned how to draw from various styles of counseling approaches and techniques, thus I’m not limited to using just one style or theory in regards to counseling. 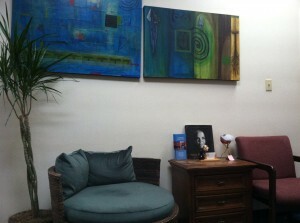 Throughout my studies at Southwestern College, I have learned counseling approaches that range from: Humanistic, Transpersonal, Mindfulness, Depth Psychology, Psychodrama, and much more including various tools and techniques from a myriad of counseling styles. From my own experience of being a client, I’ve seen a lot of crappy therapists over the years who would try to fit all my experiences and struggles under one lens of theory and one approach to counseling, it was like trying to jam a square peg into a round hole. People are eclectic and unique, some may respond well to one specific counseling theory and approach, but many simply will not. Finally, when I was 27 I saw an amazing therapist who had a holistic, eclectic approach who helped me heal and transform my life. There is a deep transformational process in counseling that can’t be bound under one approach. Using just one counseling approach is not going to cut it when people come in to discover their inner child, become empowered, unlock their mental freedom, and discover ways in which to learn how to love themselves. This is where Southwestern College’s teachings shine brightly. Southwestern College has taught me to honor my intuition and inner teacher, and to find my own unique gifts that I have to offer as a counselor. I have learned how to have a consciousness-based, presence-centered approach where I honor the scared process of transformation through counseling. I’m now seeing clients at the Southwestern Counseling Center for practicum and am doing the work I have always dreamed of doing. Practicum is the time when all the tools, theories, approaches, experiences, reading, and teaching come to life into practice and blossom into therapy. What makes the Southwestern Counseling center so special and dear to my heart is the diverse, eclectic, holistic, consciousness-centered, transformational, client-centered, humanistic, transpersonal approach it embraces. In addition the Southwestern Counseling Center sees clients from all over the state of New Mexico from all ages, cultures, and walks of life. There are many diff erent approaches to counseling offered at the Southwestern Counseling Center coming from the hearts, souls, unique experiences, and wisdom of the student counselors who work here. Every time I walk through the door, I’m greeted by a warm welcoming environment; there is gorgeous art hung on the walls, and several rooms used for counseling all decorated with the utmost feeling of comfort and coziness. For me, being in practicum and working at the Southwestern Counseling Center is a great honor, I have never been happier or felt more alive because I’m now doing the work I was born to do.